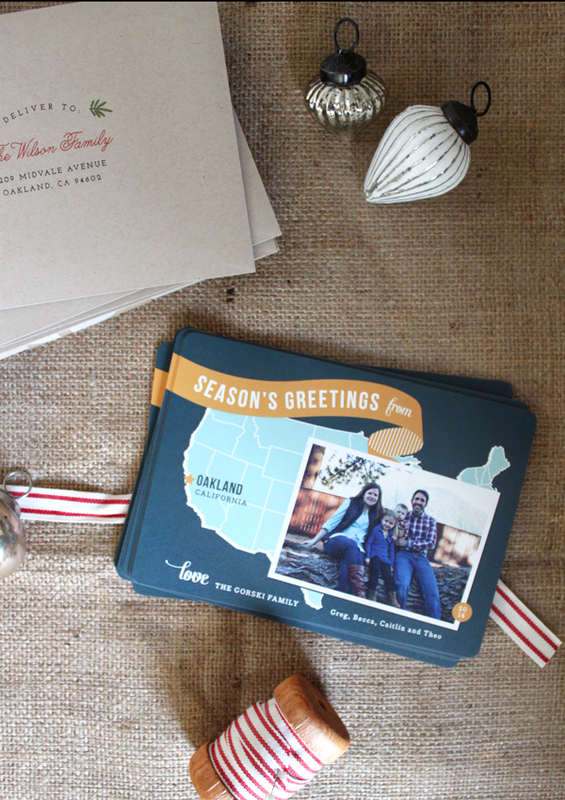 Using Minted for our family holiday cards has become a bit of a tradition the past few years and they never disappoint. 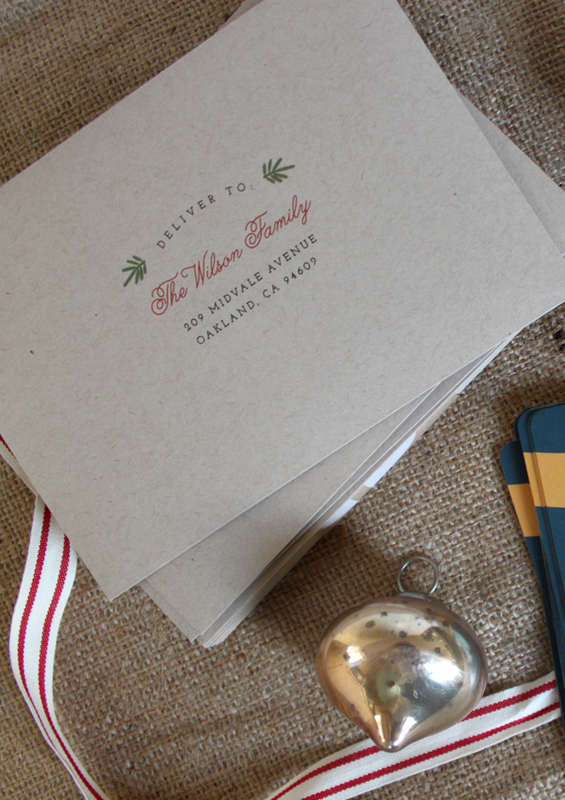 Minted is headquartered here in San Francisco, and I love supporting their community of independent designers. Our family always does a photo card and the options are endless- with lots of ways to tailor them to your personal style. As you can see, I'm a fan of rounded corners and kraft paper envelopes, and I'm pretty sure all you metallic lovers will get on board with the gold foil stamping. I also learned a new trick I wanted to share with you guys... if you upload your family photo first, just click the 'find it fast' button and you can see your photo placed in each different option to know at a glance what looks best. Very cool timesaver. This year I was super excited to try the new Minted Envelope service and they turned out better than I could have hoped. You can choose from a bunch of beautiful envelope designs and for a limited time, the recipient addressing is FREE! It it so easy you guys. All I had to do was export my google address book into Minted's template and upload to the site. I picked out this simple greenery graphic that coordinates with our cards and now all I need to do is stamp and send. I'm telling you- your biggest holiday card challenge is going to be how to choose your favorite design! 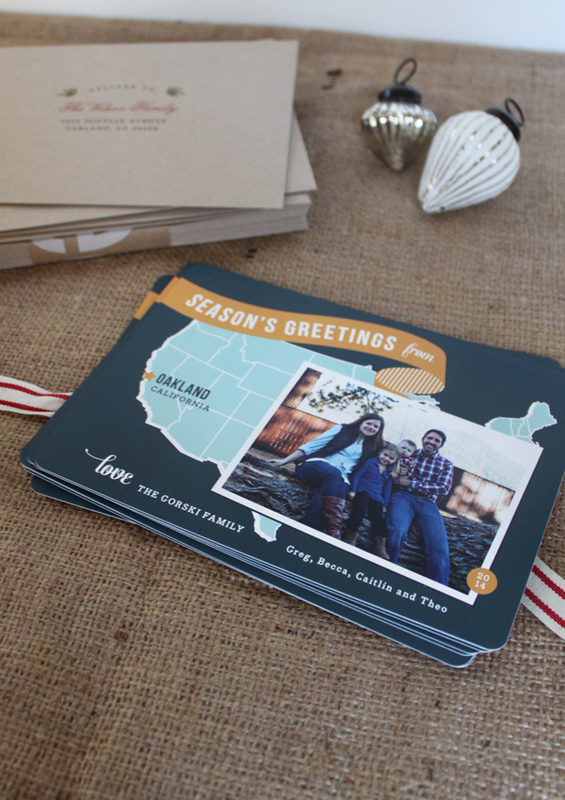 This post was sponsored in part by Minted, but my good opinion of their products is all my own. So cute! I'm obsessed with those envelopes. These look great. I can't wait to do our cards.